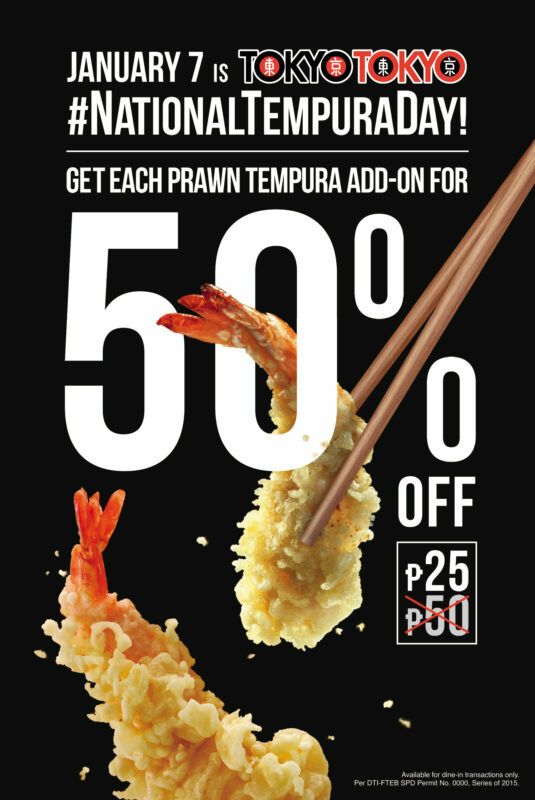 Good news tempura lovers! Tokyo Tokyo is celebrating #NationalTempuraDay on January 7. This coming January 7, all tempura prawn lovers like us, can feast on Tokyo Tokyo’s big and crunchy prawn tempura as they celebrate #NationalTempuraDay. 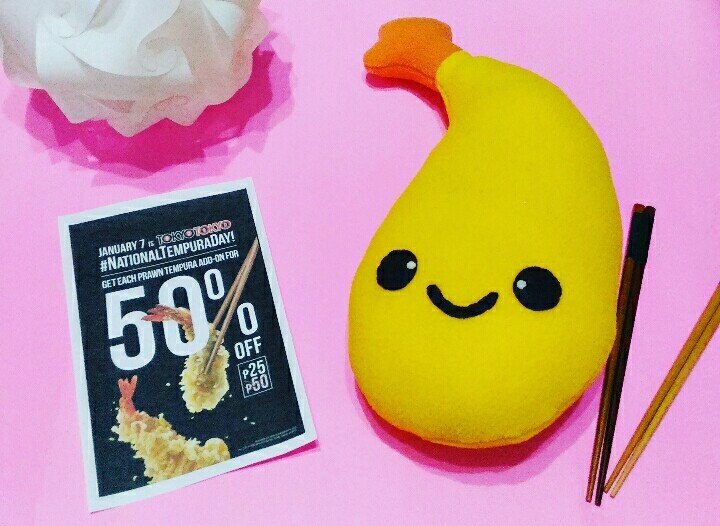 You can grab your favorite prawn tempura for only P25.00 per piece. That is 50% off the original price! Let’s all join Tokyo Tokyo in celebrating National Tempura Day on January 7! Don’t forget to tag them on your photos and use the official hashtags #NationalTempuraDay and #TempuraTime.